◆ ENGINEERED FOR COMFORT: this earpiece is made to provide a perfect fit! ergonomically-shaped in-ear plugs and ear loops brings comfortable and no heavy feeling even after long-time wearing. You’re comfortable no matter how long you wear them. The 180 degrees flip allows to adjust the angle and fit this headset in right or left ear , providing great convenience for users. ◆SO EASY TO CONTROL: This bluetooth V4.1 headset is equipped with CSR chip and APTX, ensures maximum signal quality, and guarantees outstanding sound quality. Equipped with mute button,support mute the mic if you don’t want other side person hear you. ◆TRUE HD HIGH FIDELITY SOUND: Featuring latest Bluetooth 4.1 CSR technology and state of the art acoustic components that produce incredible sound quality with deep bass and crystal clear treble. WHY THE AUMO ACTIVBUDS A8 IS THE BETTER CHOICE IN BLUETOOTH HEADSET? ◆TRUE HIGH DEFINITION SOUND Enjoy Stereo Sound with High Definition and unparalleled rock-solid bass with ultra crisp treble. ◆ LONGER BATTERY LIFE – Better battery efficiency with up to 6.5 HOURS of play. 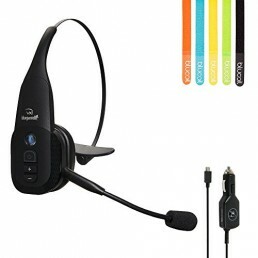 ◆COMPATIBLE WITH ALL BLUETOOTH ENABLED DEVICES Connect with two smart phones at once. 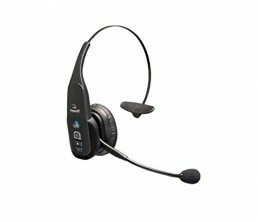 Buyers Trust the AUMO HEADSET which is Dedicated to the Highest Quality Products and Fanatical Customer Support. Your COMPLETE SATISFACTION is our primary objective. ◆UNIQUE EXPERIENCE: Stylish and compact headset design, looks fashion, full of energy, wear comfortable. The bluetooth earpiece with 5-7 Hours Of Listening/ Talk Time,180 Hours Of standby time, 10-meter working distance, about 1.5 hours charging time. ◆Compatible with iPhone iPad iPod Samsung LG Motorola Sony and iOS/Android Mobile Phones. Almost all smartphones can work with this earphone.